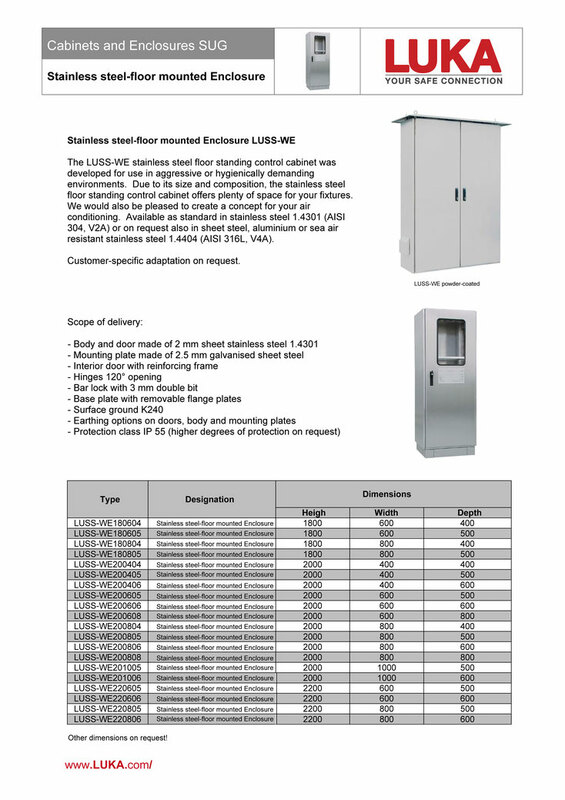 The LUSS-WE stainless steel floor standing control cabinet was developed for use in aggressive or hygienically demanding environments. Due to its size and composition, the stainless steel floor standing control cabinet offers plenty of space for your fixtures. We would also be pleased to create a concept for your air conditioning. Available as standard in stainless steel 1.4301 (AISI 304, V2A) or on request also in sheet steel, aluminium or sea air resistant stainless steel 1.4404 (AISI 316L, V4A).